Arsenal S. have been undefeated in their last 6 matches in Primera B Nacional (Argentina). Sarmiento have been undefeated in their last 9 matches in Primera B Nacional (Argentina). Arsenal S. have scored in each of their last 7 matches in Primera B Nacional (Argentina). Arsenal S. have been undefeated in their last 4 away matches in Primera B Nacional (Argentina). Vasco da Gama have scored in each of their last 10 matches in Serie A (Brazil). Vasco da Gama conceded at least 1 goal in 81% of their home matches in Serie A (Brazil). Atletico PR have failed to win in their last 16 away matches in Serie A (Brazil). Vasco da Gama have scored in 94% of their home matches in Serie A (Brazil). 87% of Atletico PR’s points have been earned at home in Serie A (Brazil). Ponte Preta have been undefeated in their last 7 matches in Serie B (Brazil). 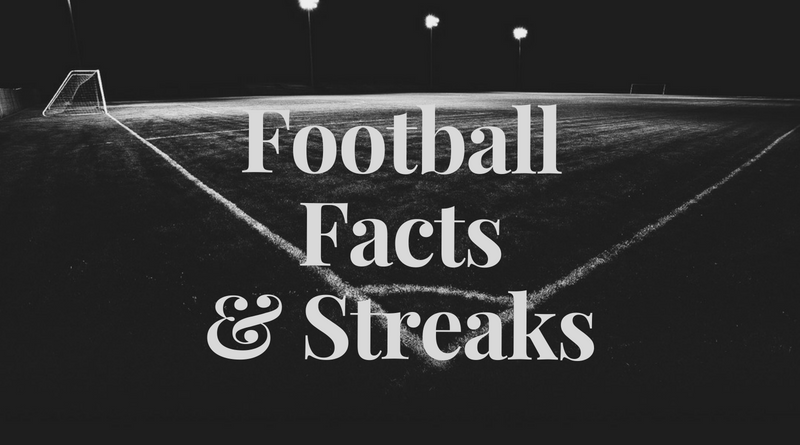 67% of Coritiba’s matches had under 2.5 goals in Serie B (Brazil). Ponte Preta have scored in each of their last 7 matches in Serie B (Brazil). Coritiba have scored in 83% of their away matches in Serie B (Brazil). 69% of Ponte Preta’s matches had under 2.5 goals in Serie B (Brazil). Ponte Preta conceded at least 1 goal in 72% of their home matches in Serie B (Brazil). 71% of Coritiba’s points have been earned at home in Serie B (Brazil). Ponte Preta have won their last 4 home matches in Serie B (Brazil). Coritiba have scored in each of their last 7 away matches in Serie B (Brazil). Sibir has over 2.5 goals in their last 3 away games in Football National League (Russia). Tambov won their last 4 home games in Football National League (Russia). Tom has under 2.5 goals in their last 7 games in Football National League (Russia). Fakel Voronezh allowed opponents to score over 1.5 goals in last 3 games in Football National League (Russia). Shinnik allowed opponents to score over 1.5 goals in last 4 home games in Football National League (Russia). Sibir lost their last 3 away games in Football National League (Russia). Torpedo Armavir scored in last 9 games in Football National League (Russia). Sochi-04 has under 2.5 goals in their last 4 games in Football National League (Russia). SKA-Khabarovsk has under 2.5 goals in their last 3 away games in Football National League (Russia). Sibir scored in last 4 away games in Football National League (Russia). Torpedo Armavir has over 2.5 goals in their last 3 games in Football National League (Russia). Tambov scored in last 14 home games in Football National League (Russia). SKA-Khabarovsk scored in last 5 games in Football National League (Russia). Torpedo Armavir scored in last 5 away games in Football National League (Russia). Sochi-04 has under 2.5 goals in their last 3 home games in Football National League (Russia). SKA-Khabarovsk allowed opponents to score over 1.5 goals in last 3 away games in Football National League (Russia). Mordovia allowed opponents to score over 1.5 goals in last 3 home games in Football National League (Russia). Tom allowed opponents to score over 1.5 goals in last 3 away games in Football National League (Russia). Fakel Voronezh scored in last 10 away games in Football National League (Russia). Mordovia allowed opponents to score over 1.5 goals in last 8 games in Football National League (Russia). Zenit II has under 2.5 goals in their last 4 home games in Football National League (Russia). Tom has under 2.5 goals in their last 3 away games in Football National League (Russia). Zenit II didn’t score in last 5 games in Football National League (Russia). Fakel Voronezh scored in last 4 games in Football National League (Russia). Shinnik allowed opponents to score over 1.5 goals in last 3 games in Football National League (Russia).